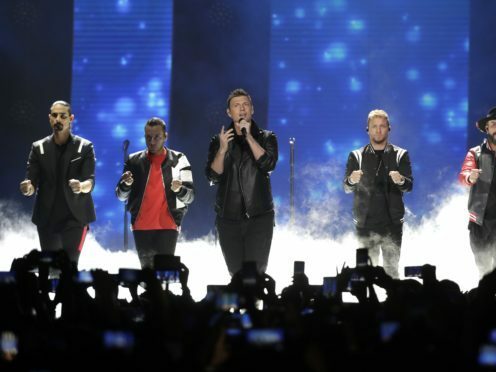 At least 14 people have been injured and taken to hospitals after trusses holding up the entrance to a resort where the Backstreet Boys were set to begin a concert in Oklahoma collapsed. WinStar World Casino and Resort said in a statement posted on Twitter that the resort began an evacuation when lightning was within four miles of the casino in the US state. The company says about 150 patrons did not evacuate and when the storm hit with 70-80mph winds, it knocked over trusses and the entrance collapsed on them. WinStar later said the concert was postponed to a later date. Band member Kevin Richardson tweeted that the concert had been sold out with about 12,000 fans.